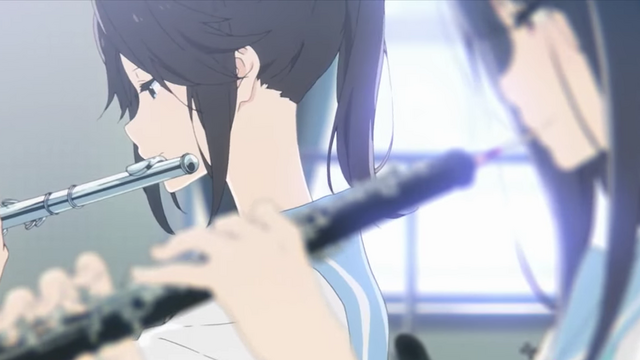 Kensuke Ushio, the composer for A Silent Voice and now Liz and the Blue Bird, shares his creative process. 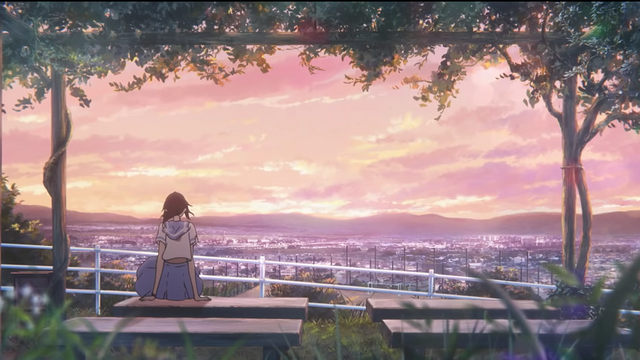 From the director of A Silent Voice, Liz and the Blue Bird, shares the friendship of two girls and the way that life within itself can affect change for better or worse in a compelling, emotional, and beautiful sensory experience. 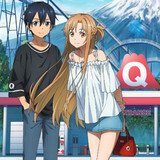 The film's composer, Kensuke Ushio sat down with Crunchyroll's Cayla Coats this summer to give us more insight into the creation of the masterpiece. 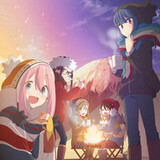 Liz and The Blue Bird marks your second collaboration with director Naoko Yamada. Could you explain how your working relationship began? So I was doing solo work in Japan and Yamada just happened to hear my music. She became a fan. She reached out to me to collaborate together. Were you a fan of Yamada-san’s work before as well? Very cool. 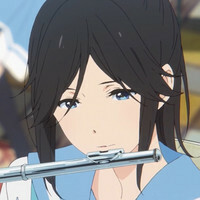 I’ve read that you were closely involved from the very beginning with forming the core themes of Liz and the Blue Bird which is a bit unusual for a composer of anime. Could you describe the level of involvement you had in the planning of the film with Ms. Yamada? We discussed things before the storyboards or even the music was made so we had that talk about core themes as opposed to other composers. They would normally add the music towards the beginning of the production. Myself and Yamada-san, we discussed and planned everything out before we went into producing both the storyboards and composing the music. I loved creating a core concept. Could you talk a little bit more about the themes of disjoint and coprime? So one of the core themes for the movie’s sound was a story about two girls who are together at first but slowly drift apart as things go along so we’d like to address how that happens and what leads to it. So the way that the idea of coprime works is that you have for example four or five. They’re very close at first but as you go further along in the numbers, they get farther and farther away so that’s one of the reasons we thought the idea of coprime would fit into the context of the story itself. That’s extremely beautiful. From the sound of footsteps being used as percussion in a song to the noise of classroom objects folding into the background music, ambient sound plays a special role in this film. How did you capture all of these noises and what was your purpose in leaving them in every part of the film? One of the things that we thought when applying all of this is that we didn’t want people to realize or understand the idea that these girls were slowly drifting apart from each other just because it’s such a sad occurrence. So that was one of the core parts as well when we were planning out how to do and use the sound effects. We also wanted to show that there was no one around. It was just those two girls. There wasn’t really anyone else to help or support or anything like that. One of the main ideas that was always in my head while making the soundtrack was to use only the things that they could actually see such as in the classroom like the tables, and the seats even the beakers in the science rooms and all of that sort of stuff. We went to the actual place that the film is based on and we went around to all of the objects just to get all of the sounds and make it even more authentic. For what it’s worth as a viewer, it really brought me into the world, the very small world of these characters. You and Ms. Yamada worked with sound director, Yôta Tsuruoka on A Silent Voice and are together again for this film. 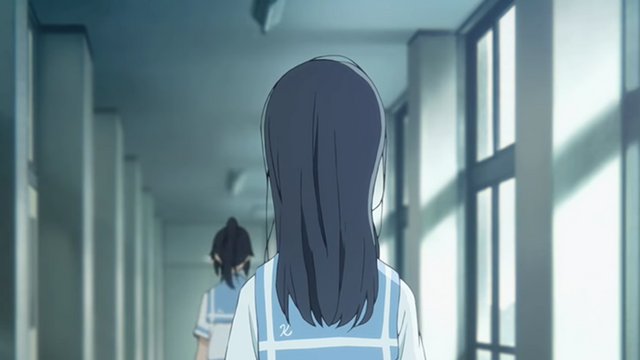 Could you explain Tsuruoka’s role and how he affected the sounds of Liz and the Blue Bird? So for us Tsuruoka-san is twenty or so years older than us. He is always someone we can rely on, someone that gave their all in that perspective so for us personally his presence was something that allowed us to go ahead with what we do and if anything came ever up, we could rely on him to help us out. He is a really really great person. I love him. There are numerous times in Liz and the Blue Bird where the music and imagery invoke a nostalgic, difficult to describe sentiment. With such hard to describe abstract feelings, how did you and Ms. Yamada make sure that you were both on the same page for the emotional feelings of the movie? So the fact that we’re very close in age and we grew up enjoying the same sort of music, that helped us be on the same wavelength during the projects. So similarities just insured that we were always really close in mind so we can talk about over 10 years of music. It’s a really cool thing. I thought we united and bonded. The soundtrack itself, we made that through the process called decalcomania which the way we’ve made that, is a way of representing how the two girls, that sort of disjoint between them and that gradual separation. We took that and used that as the base for the soundtrack as well so that’s one of the reasons why it ended up with such a nostalgic tone to it. I may have the music knowledge of a child but kensuke ushio's musical score for Naoko Yamada's new movie looks a lil bit unusual. Within the decalcomania you’ll see different objects, the beaker, the piano, the desk scraping sound. For example, the footsteps are synchronized to the music. The footsteps had an actual tempo. The tempo is 99, 100, 101. These are coprime numbers. The footsteps tempo is always a coprime number but also we slightly moved the tempo because we are humans and not robot. So at the very end of this film, you saw the happy on screen situation - I cannot remember the tone but the footsteps are completely synced. Just the footsteps. So something that happened that even I didn’t expect is the footsteps ended up in sync together and for them they never expected that. It felt like a genuine miracle that that happened. It was a joint moment. The disjoint becomes joined. 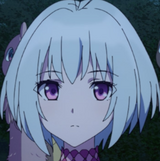 I know that was Liz and the Blue Bird just released but do you and Ms. Yamada have any plans to work together in the future? I hope so! After finishing A Silent Voice, we thought we can do more. This is a result. After finishing Liz and the Blue Bird, we thought we can do more. Beautiful. One more thing: Do you have anything you’d like to say to the fans of you and Ms. Yamada’s work in the West? The reason why I think Liz and the Blue Bird is entertaining is maybe because you’re crying. So i think it’s a really nice story so I hope you like it. After I saw this film, after the production, I cried. But I cannot say the words to express myself. I wasn’t able to understand myself what I was feeling - sadness or despair but at the same time, understanding what is being felt in the first place. I’m hoping fans abroad will be able to go through that same experience. Maybe realize something that they haven’t before. You can purchase tickets for Liz and the Blue Bird ahead of its November 9 premiere. Interview by Cayla Coats, additional contributions by Ricky Soberano.